Household Services - Cleaning & more! Proud to Serve Bucks County PA & Local Surrounding Areas Let us match you with a professional who will take care of their home as if it was their own! Residential Weekly Bi-weekly Monthly New Construction Apartment Complexes Windows Automobile Etc. "The Solution to All Your Cleaning Needs!" 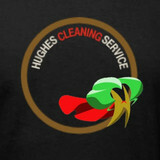 Welcome to Beautiful Philadelphia home of Hughes Cleaning Service. We believe our customers deserve “Peace of Mind One Cleaning at a Time with a Guarantee WOW!” Since 2007, we have serviced over three thousand residential and commercial customers in and around Philadelphia, South Jersey, and West Chester. We take pride in finding unique ways to stay competitive in pricing and service while keeping our customers satisfied. We are an Environmentally safe company and offer green products upon request. Here at Hughes Cleaning Service along with our dedicated staff, we believe happy customers are the lifeblood of our business and so we are continually bringing on new talent to service our growing customer base. 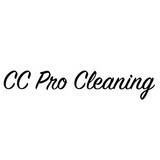 Established in 2010, CC Pro Cleaning is a Family Owned Business, and we have tried to maintain that culture. 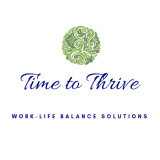 We have 6-10 full time and part time employees. We offer flexibility and affordability to all our clients whether it's a one time deep clean, weekly, bi weekly or monthly cleaning- Move in or out cleans. Everyone is treated equally and with respect. CC Pro Cleaning LLC offers Trusted professionals, Affordable Pricing, Satisfaction Guaranteed, Same day Service, and 24/7 customer service. Fully insured and Bonded Residential and Commercial cleaning company. Services are customized to meet every clients specific need. All of our friendly, experienced cleaners are background-checked and fully insured, and come equipped to your appointment with premium, eco-friendly cleaning supplies. We'll have your home or apartment looking spotless in two hours -- satisfaction guaranteed. 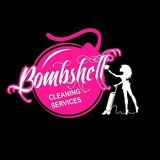 Bombshell cleaning services is a local cleaning service that prides ourselves on our provided services and our customer relationships. We are a small team of Brazilian women. We have been cleaning professionally in the greater Philadelphia area since 2001. Brazil is hot and dusty and it's necessary to clean the house every day. We learn at a very young age how to clean and we're very hard workers. If you want to experience a clean you can see and FEEL, give us a try. Dozens of references available. Residential Cleaning, Maid Service, House Cleaning. Professional, detailed, friendly, hassle free. All cleaners have had background checks done, trained, uniformed, insured and bonded. All cleaning products supplied. Weekly, biweekly, monthly, occasionally and one-time cleanings. Credit cards accepted. Free Quotes link on our website. We care about your home. At Karma Diva Green Cleaning we use only products and ingredients that are environmentally safe and effective. We carefully clean with products that are free of harsh chemicals, biodegradable and toxin-free giving peace of mind for you, your family, and your pets, in your home. If you’re looking for Experience and Expertise in Home and Office Cleaning Service, look no further. With over 10 years of experience, our Team of Professionals here at Top Local Maids have been servicing properties and business offices of all kinds, with a well trained and detailed oriented personnel you can always rely on. Dirty Harry Clean is a restroom cleaning contractor serving the Columbia, PA area. Services include Restroom Cleaning, Sanitizing Services, Odor Removal & Odor Control and Tile and Grout Cleaning. We offer the best home cleaning services in Philadelphia. Please contact us for all of your home cleaning needs! WE HAVE THE PROFESSIONALISM, EXPERIENCE AND THE FAMILY TOUCH THAT YOUR HOUSE OR BUSINESS NEEDS, WE PROVIDE RELIABLE PRICES, FLEXIBLE HOURS, ALL THE SUPPLIES AND EQUIPMENT AND Different methods of payments. We are licensed and insured for your comfort. FDP Mold Remediation is a leading mold remediation service provider in Baltimore, MD and surrounding areas. We deal with mold removal, testing & inspection for residential, commercial and industrial needs. Just contact us over the phone in order to get more information or to schedule an appointment. Proven professional experts for mold testing, mold inspection and mold removal services at Pikesville MD. For immediate and experienced help please call us - 410-538-2555 or visit our website to get more information about our mold remediation services. FDP Mold Remediation specialists will be happy to help you at any time! What should I expect from a house cleaner in Downingtown, PA? Most professional Downingtown house cleaning services will do the same tasks for a basic residential cleaning job: clearing dust and cobwebs from all surfaces and fixtures; wiping all surfaces, including sinks, tubs, counters mirrors; cleaning tile; vacuuming and mopping. You may want to have different rooms detailed at different times, so ask about doing a rotating schedule if you want them to pay extra attention to each space (like kitchens and bathrooms) every other cleaning. Some house cleaning companies in Downingtown, PA will also offer additional services such as window washing or appliance cleaning, so ask about incorporating them into your deal or doing them as a one time thing if you’re interested. Pick up any clutter (laundry, toys and other gadgets) and put pets in a secure spot so they feel safe and don’t get in the way of the Downingtown house cleaning company. Put out any specific cleaning products or tools you want used, and make sure to lock up any valuables that you don’t want disturbed. Most housekeeping services in Downingtown, PA will enter with a spare key or garage code, but if that isn’t something you’re comfortable with then you should arrange for them to come when you are home to let them in. Typically Downingtown house cleaners expect payment at the time of cleaning, so ensure you have the appropriate form of payment (cash, check or credit card) on hand, plus a little extra for tip if that’s your style and they do a great job. Find Downingtown house cleaning services on Houzz. Narrow your search in the Professionals section of the website to house cleaners in Downingtown, PA and contact local companies to ask questions and get quotes.